AffiliationSoftware is an Affiliate Marketing Software designed to create your own Affiliate Program and manage it. An Affiliate Program is a powerful marketing tool for every online business. It is one of the most profitable and effective way to get targeted traffic and increase sales! With an affiliate program the affiliates will promote your website by publishing your banners and links on their websites and on social networks, bringing you quality traffic, interested visitors and new customers! 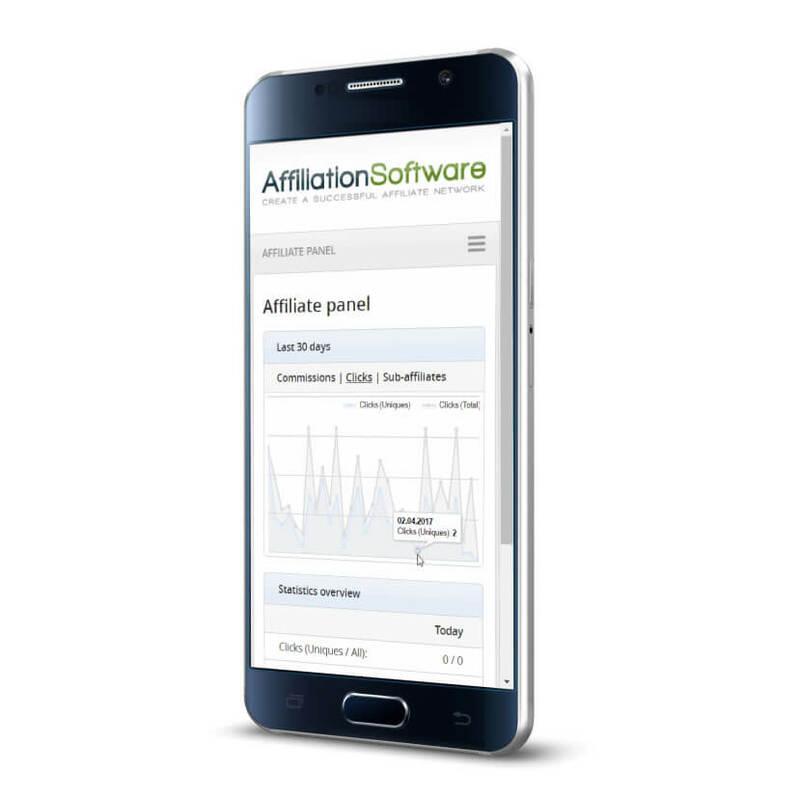 AffiliationSoftware will automatically track all the statistics and conversions generated by your affiliates, in real time! 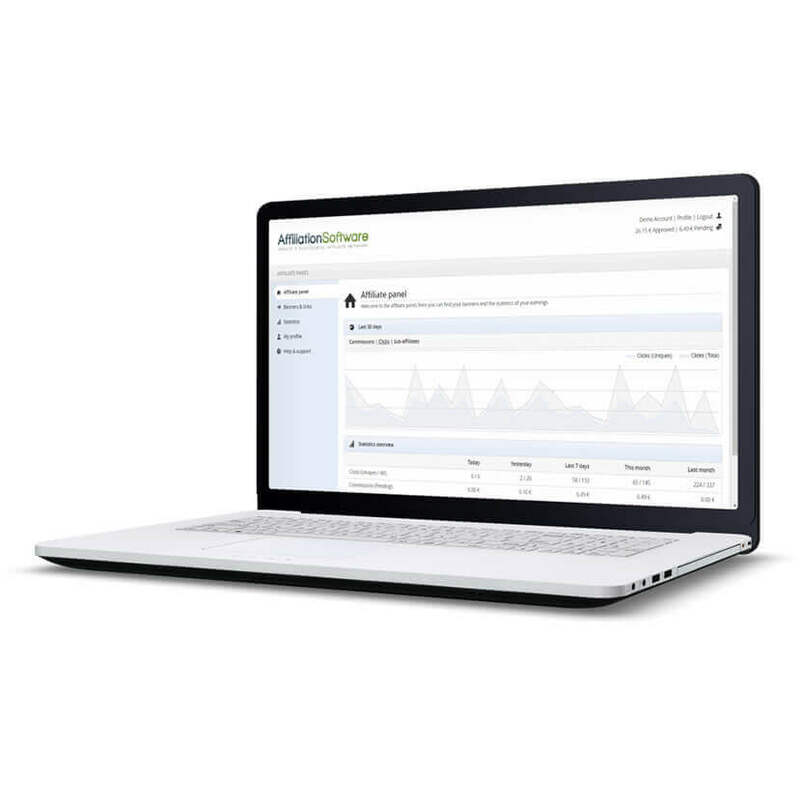 Our Affiliate Software stands out because it combines simplicity and efficiency. To use it, you do not have to be a programmer, and not even your affiliates, who can focus on promoting your website in the best possible way. We know how important your brand is, with AffiliationSoftware you can customize everything: design, colors, pages, emails, fields and columns. You can also request a White-label solution and set up your own subdomain. AffiliationSoftware is also designed for small and medium-sized enterprises, it is the most affordable Affiliate Marketing Software available on the market today, but it still offers the best quality / price ever. Stand out by providing your affiliates different types of Ads to advertise your website: Banner, Video banner, Hover banner, Floor ads, Link, Deep-link, Social link, Text ads, Article marketing, Email marketing and Tell-a-Friend. 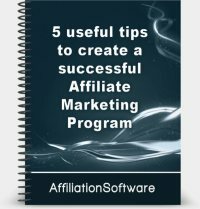 Affiliates are the key for your success, but each affiliate is unique, AffiliationSoftware allows you to create a successful partnership with each and every one, assigning multiple commissions and different percentages based on his promotion. AffiliationSoftware is compatible with all the most popular e-commerce and CMS systems. Conversion Tracking is automatic, in real time, and works on all devices. Choose between last-click, first-click or postview and manage the tracking lifetime. AffiliationSoftware offers marketing tools specifically designed to optimize your website's rank on search engines, such as: Direct Linking, Clean Linking (tracking without parameters), and nofollow attributes. With Multilevel Marketing (MLM) your affiliates are incentivized to recruit new sub-affiliates and grow your affiliate program. 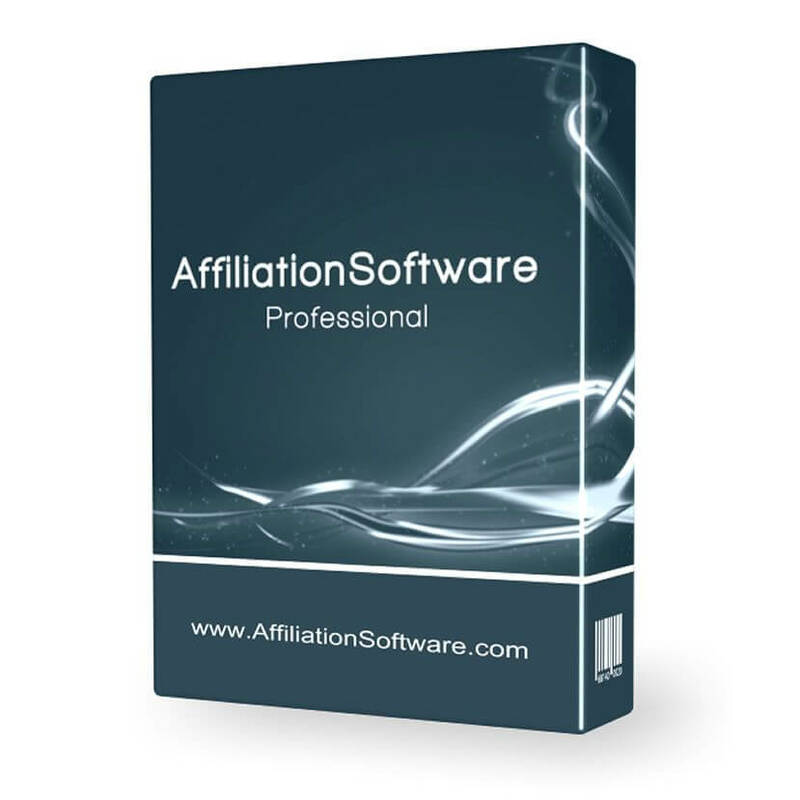 AffiliationSoftware include a multilevel system up to 10 levels and a forced matrix. Our Affiliate Software is available in many languages, such as: English, Italian, German, French, Spanish, Portuguese and Russian. For users who speak different languages there is a Multilingual Interface. You can also add new languages and edit the existing translations. AffiliationSoftware is not just an affiliate software. You can also count on our highly qualified support team, with over 10 years of experience, that will help you configure and manage your affiliate program according to your needs. With AffiliationSoftware Professional, a stable, secure and flexible Affiliate Platform, you can take full advantage of the power of Affiliate Marketing to create profitable partnerships and increase your profits by having your website promoted by hundreds of affiliates! Users can sign up to your affiliate program and promote your site by publishing banners and links on their websites and on social networks, bringing you quality traffic and new customers in exchange of a performance-based commission of your choice! For example: 5% per referred sale or 1$ per each lead! AffiliationSoftware has all the features needed to create successful partnerships with many types of sites and users (display, email, mobile, social, keywords)! It has different types of banners and commissions and automatically tracks all the statistics and conversions (clicks, sales, leads) referred by your Affiliates! Here's what the users will see once they have registered to your affiliate program, in 4 easy steps! AffiliationSoftware is the leading Affiliate Software in Italy, founded in 2008, it has hundreds of satisfied clients all over the world! Our Affiliate Software is very easy to use and customize, and is compatible with all the most popular websites, e-commerce, landing pages, squeeze pages, community, subscriptions and much more! Start your own Affiliate Program today, promote your website and increase your Traffic and Sales! Now at no initial cost! I'm using AffiliationSoftware and I really like it, especially the new version! For years I was looking for an easy to use affiliate software for my products and now I have finally found it! We were looking for affiliate software which wasn’t difficult to manage, at the same time we needed it to have all the necessary functions to create an affiliate program suitable for all our needs. After weeks of research we discovered AffiliationSoftware, only a few minutes after sending the first email we received a reply! The customer service is excellent, with assistance even late at night and during weekends! The software itself is very intuitive and with any problem you encounter there is one of the best customer services ready to help you solve it! A 10/10 is always hard to give, but we believe a 9/10 is definitely deserved! The powerful ecommerce system we adopted needed an equally powerful affiliate software in order to manage our affiliates. AffiliationSoftware proved to be exactly what we needed! I started my affiliate program less than a month ago and the number of people sining up has literally triplicated! And it’s just the start! I am so happy! :D Using AffiliationSoftware was the best choice I could make! PS: The customer service is really fast and always very kind! I bought AffiliationSoftware and use it for my shop, I have to say that it is a very good program, reliable and simple to use, an excellent way to invest in web-marketing! I am very satisfied! I have been using this program for about 4 months and I have to say that the value for money is excellent! The availability of the customer service is amazing! Ever since I started using this software I am sure I made the right decision. I really recommend it!